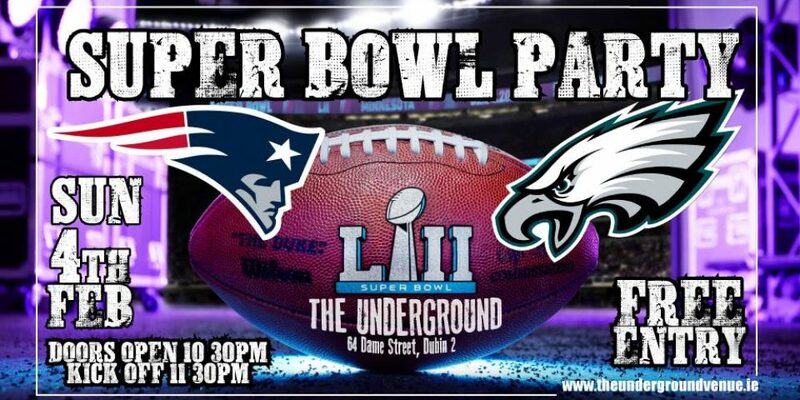 Superbowl Sunday is now actually quite a big night in the Dublin pub calendar. 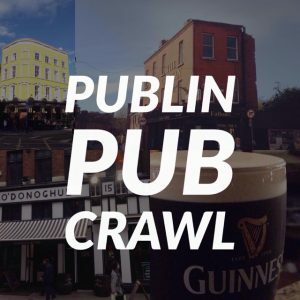 So many pubs now choose to show it and the audience is so much bigger that there’s usually loads of Superbowl parties going on around the city. Here’s a few to choose from ,including what they’ll be offering in terms of food and drink on the night as well as whether the event is ticketed or not. Buskers On The Ball is a brilliant new sports bar on Fleet street with a huge wall screen and loads of other high definition screens around the bar. They’ll have plenty of food options on their snack menu for the night. The Adelphi are the home of the hot dog in Dublin and they’ve also been showing American Football since they opened. All Americans get a free beer on arrival here! There’s no cover charge here and they’ll be showing the game on the BBC so no adverts. Facebook event. The screens in The Living Room are of an unbelievable quality and there’s no shortage of them either. They’ll be serving hot dogs until the early hours. Reserving a table might be a good idea, but it’s not mentioned on their facebook event. 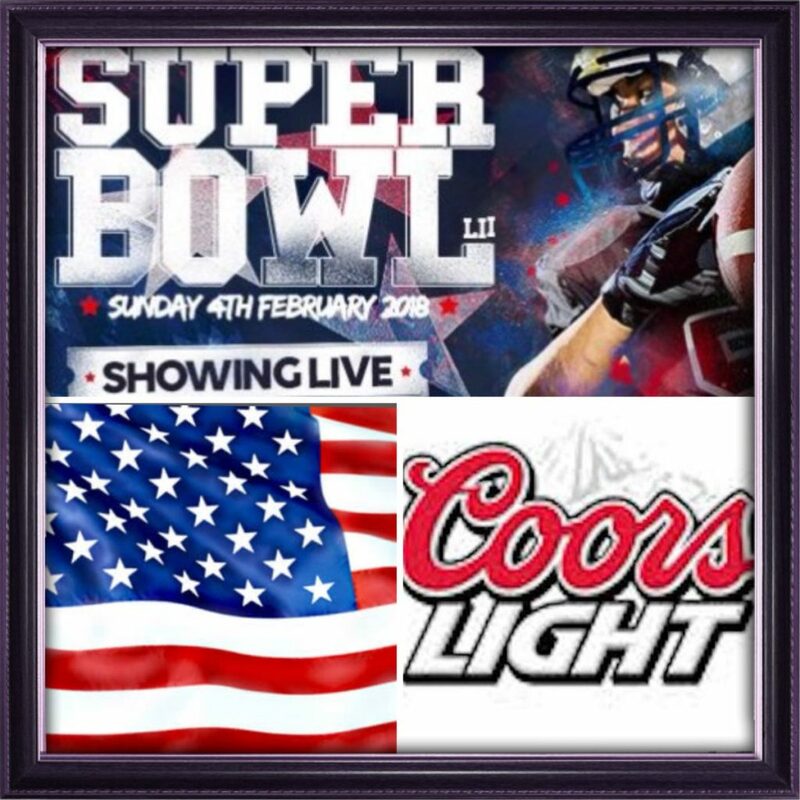 Fibbers are always open late for showing events like the Superbowl and Wrestlemania. It’s free admission and they’re open until 3am. Hot Dogs, Nachos, Wings and Bar Snacks served all night. 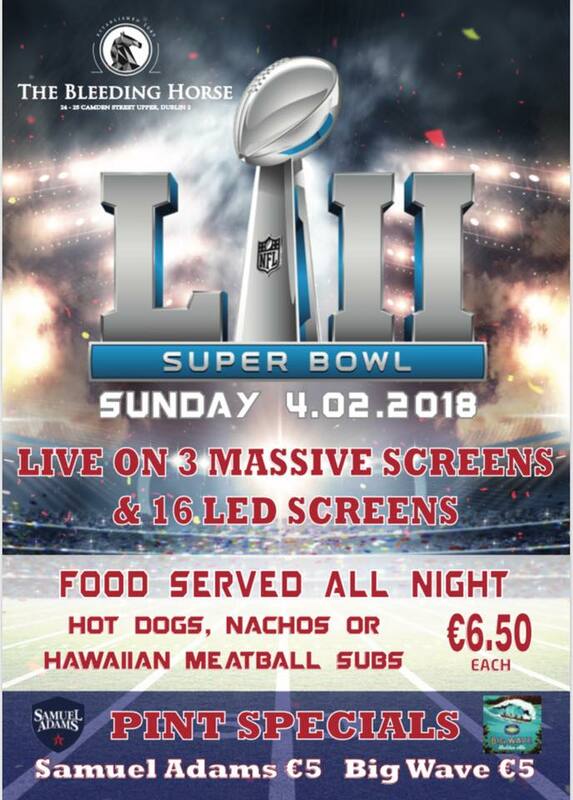 Rody Bolands in Rathmines have plenty of screens and show the Superbowl every year. They’ll have hot dogs, nachos, wings, adn bar snacks served through the night. There’s also €3 Coors Light on the night and free popcorn. Book your table with a deposit and maybe win a round of drinks and a platter. 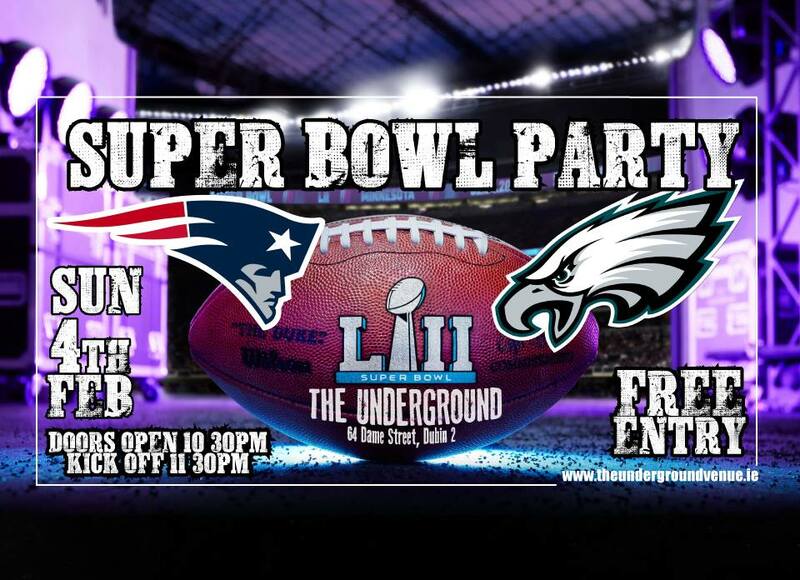 Downstairs in Peadar Kearneys is now ‘The Underground’ and they’ll be keeping up their Superbowl tradition once again. It’s free entry, but you must be in by midnight. Facebook Event. 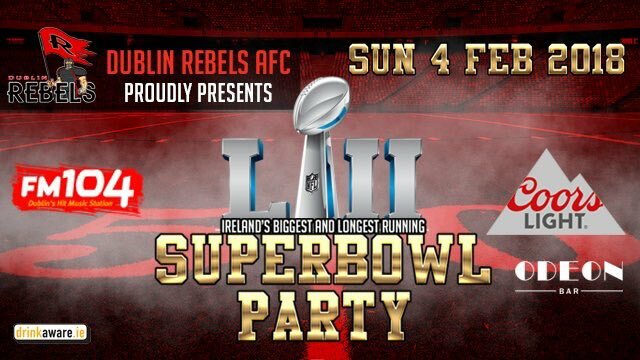 Odeon harcourt Street are having their party with the Dublin Rebels team once again. They’re planning a big party in association with Coors Light and FM104 and they have plenty t osay about the night over on their eventbrite page. Link. 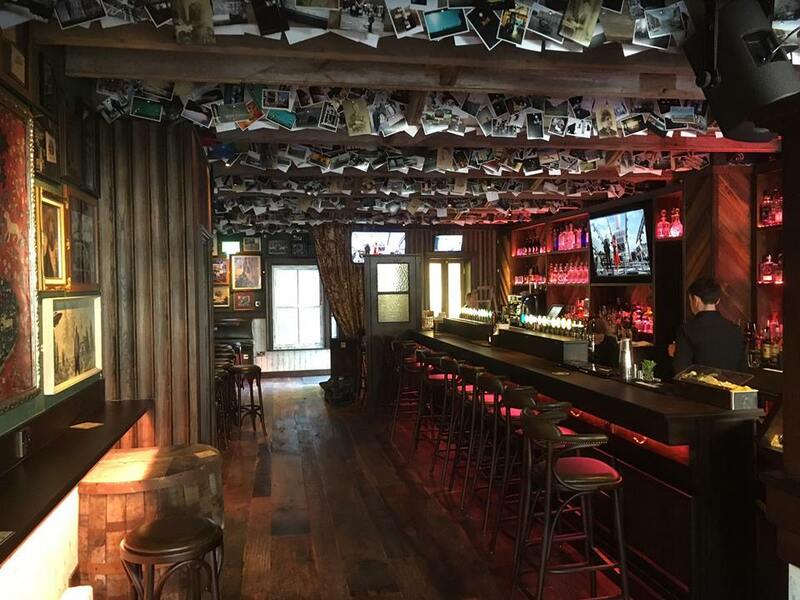 Jimmy Rabbitte’s on Camden Street is the newest pub on this list and it’s a smashing place. This place is owned by the same crowd as The Living Room so the TV’s are excellent. They even have one in the snug! They’ll have the sound on and no cover charge. Facebook Event. 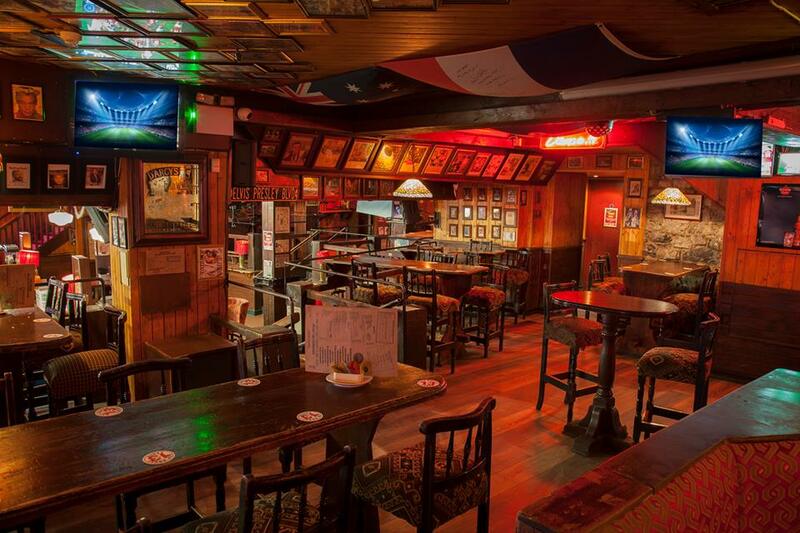 McGowan’s in Phibsboro will have all the action on their screens dotted around the bar. 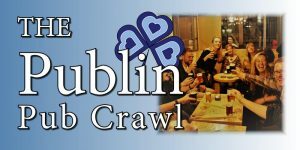 They’ll have American food specials on the night and you can book a table via ciara@mcgowans.ie . Facebook Event. 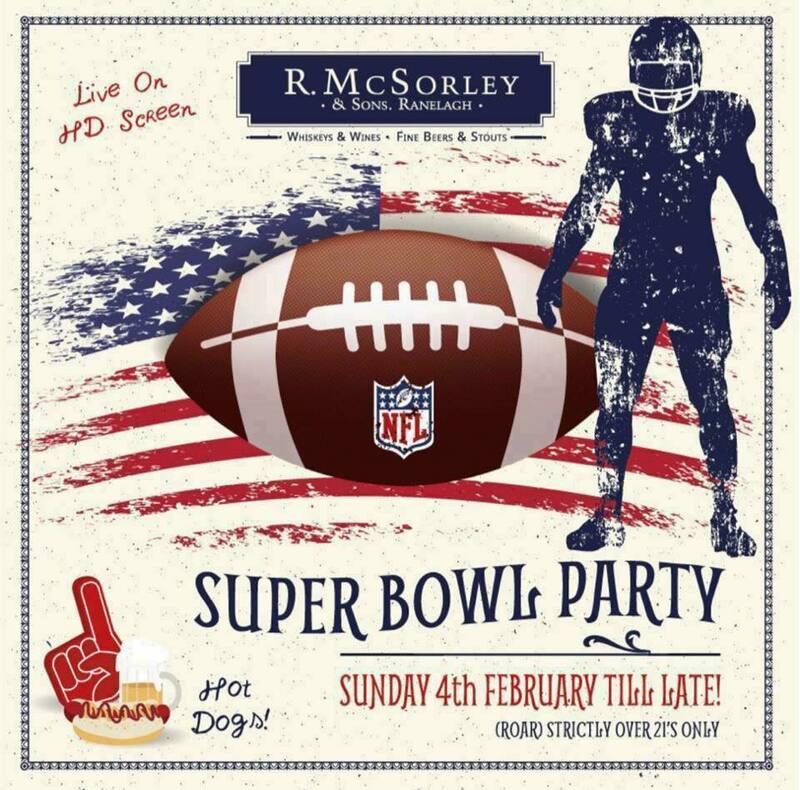 McSorleys in Ranelagh show the American Football every weekend and have always had a Superbowl party. They’ll have hot dogs and their usual selection of craft and international beer. 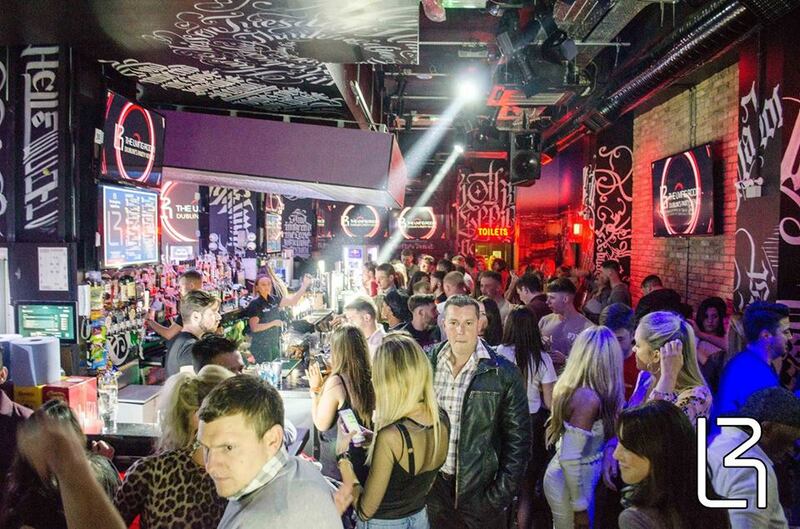 Dublin’s best known late night venue will be open and are taking table bookings. 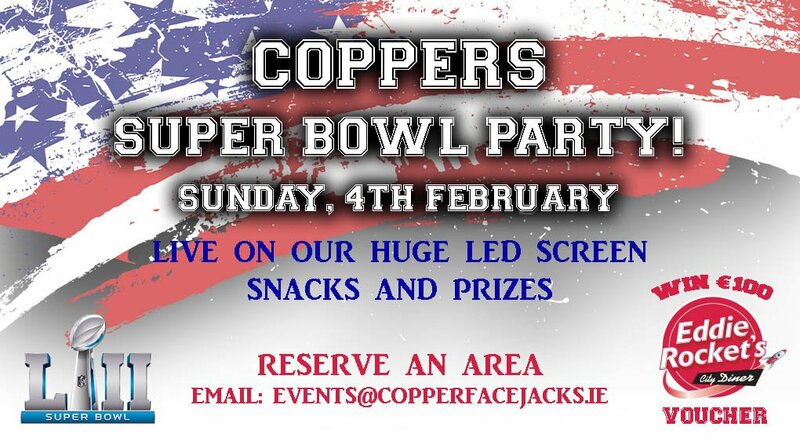 They’ll have the game on 3 projector screens and 16 LED screens dotted around The Bleeding Horse. Food is served all night and they have a number of specials for €6.50. 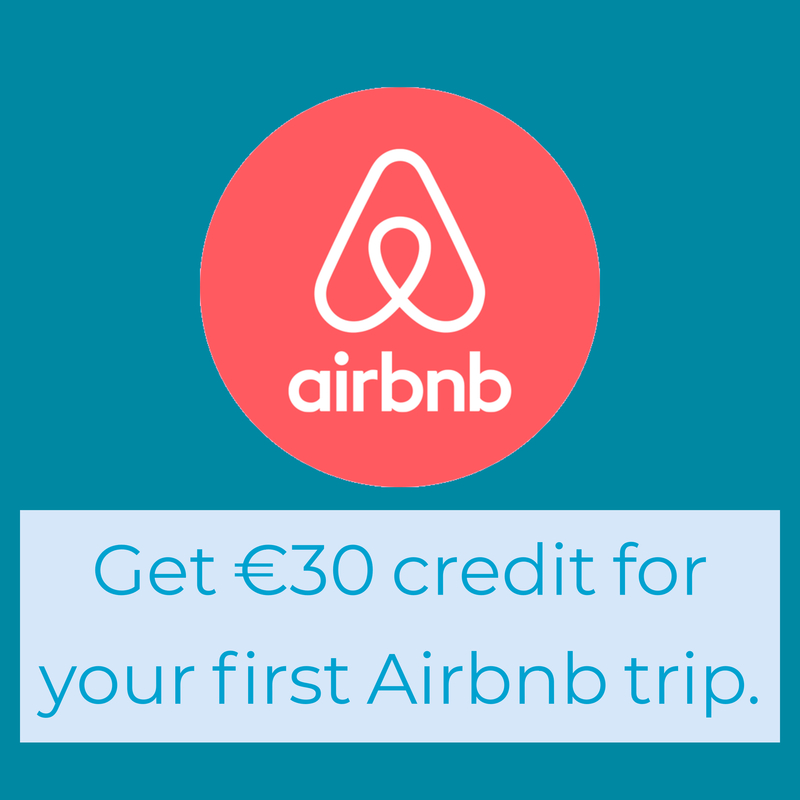 Sam Adams and Big Wave pints are €5 on the night as well. Facebook Event.